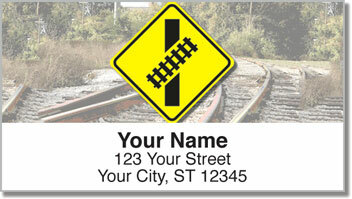 Rustic scenes featuring train tracks and familiar signage make for a unique set of return address labels that's perfect for railroad enthusiasts! There's something intriguing about those tracks trailing off towards the horizon. We want to follow them to find out where they lead. What adventures would arise? What towns would they take us to? What kind of people would we meet? 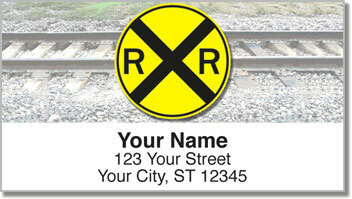 Railroad Crossing Address Labels from CheckAdvantage are eye-catching and also quite useful. 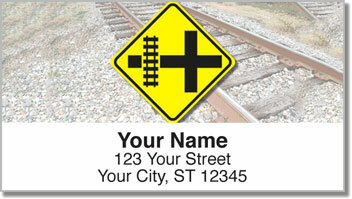 Stick them right on every letter or package with ease thanks to a self-adhesive backing. You'll never have to scribble out your name and address ever again! 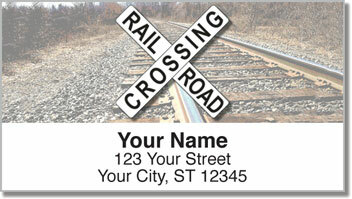 Order your very own Railroad Crossing Address Labels today! We also offer a set of matching checks.